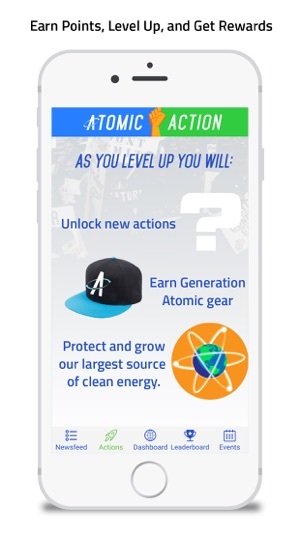 JOIN THE MOVEMENT AND EARN POINTS TO WIN GENERATION ATOMIC GEAR, GET YOUR CONTENT FEATURED, CLAIM BRAGGING RIGHTS, AND EARN INTERNSHIP OPPORTUNITIES. SHARE: Post content to social media to get the word out to your network. 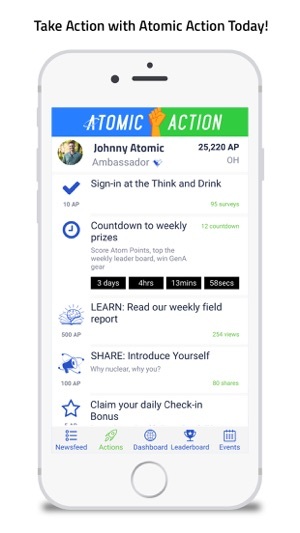 Post meme's, share news, mobilize supporters, and do your part as a digital advocate, helping take the benefits of nuclear power viral. 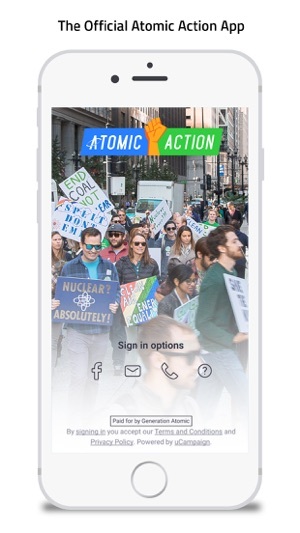 ADVOCATE: Access call lists, walk lists, scripts, and surveys to knock on doors and make calls to new supporters of nuclear. 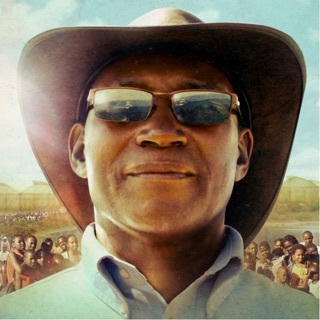 Earn points for signing up new supporters, spreading the message, and growing the movement. 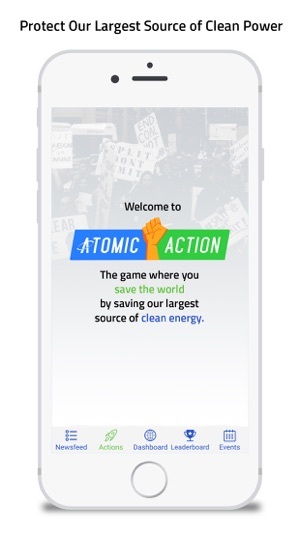 LEARN: Watch videos, play trivia, and read articles to learn about the issues surrounding nuclear power, and what you can do to help. 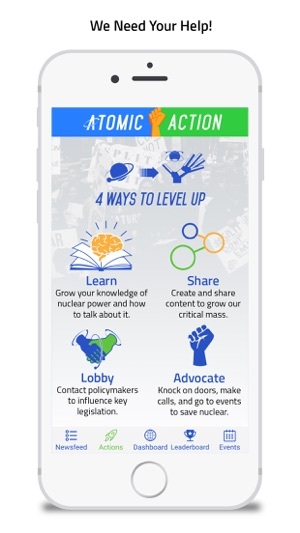 Find and check in at Generation Atomic events and workshops to help improve your advocacy skills. 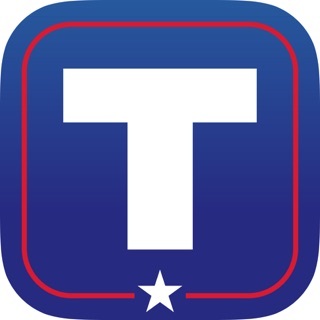 LOBBY: Contact your legislators directly about upcoming votes. Tweet at your representatives and senators about upcoming legislation. We'll keep you up to date with the status of bills both locally and nationally. 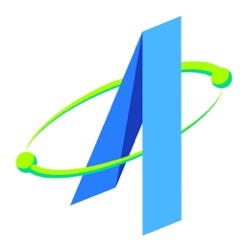 This app performs with an awesome style which helps so much to make a difference and help save the world!